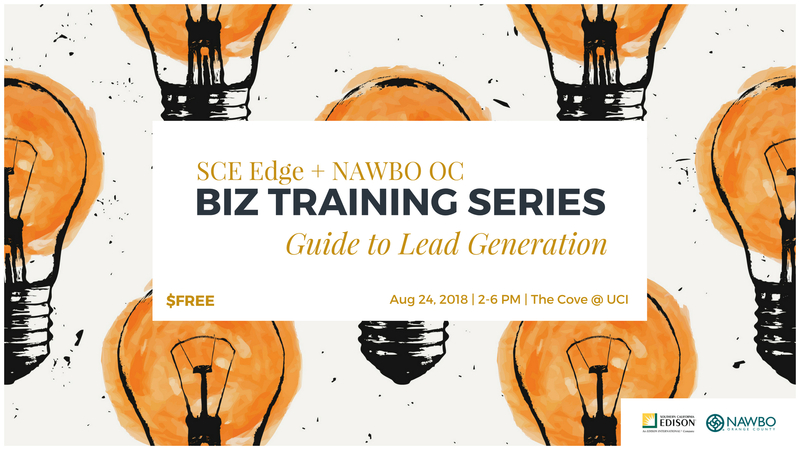 This Business Development Training Workshop is the second in a free, 3-part workshop series presented by SCE and NAWBO OC. “Guide to Lead Generation” focuses on moving your prospects through the marketing/sales funnel and converting them to customers. It reviews lead generation in marketing channels including website, search, social media, email, direct mail, and event marketing. This workshop is organized by NAWBO OC. Click here to join our community of women entrepreneurs. This workshop is offered free of charge to women entrepreneurs as part of SCE’s Supplier Diversity & Development 2018 EDGE Program. Learn more about SCE’s Supplier Diversity & Development initiatives here. This workshop is presented by Evelyn Lamden from Red Kite Business Advisors.